As a mother of a child with sensory processing disorder, I know you can have many unanswered questions about your child's or loved one's diagnosis. That is where the idea of "Questions From Those Who Know" came from. 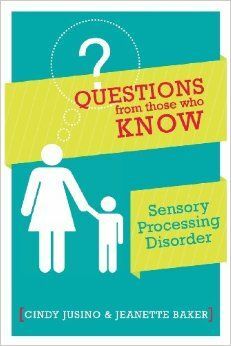 I teamed up with Jeanette Baker, founder of the popular Sensory Processing Disorder Parent Support Group, and reviewed the most asked questions. Here you will see the result of what others have to say helped their children with SPD. Research shows early intervention is key; yet, it can be overwhelming to know where to begin to help your child. We hope that this book will bring you ideas that have worked for others, as well as comfort that you are not alone! We also hope it helps spread knowledge of what SPD is and what it is like to live with. 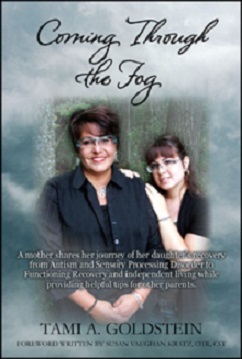 From her daughter Heather’s original diagnosis to a veritable smorgasbord of difficulties, Tami did her own research into Sensory Processing Disorder and Autism and sought out a therapeutic approach that actually worked. After comprehensive research, Tami found and accessed successful protocols for Heather which can be used by other parents of children with High-Functioning Autism. Tami shows exactly how a sensory lifestyle was developed to provide and maintain Functioning Recovery and she provides examples of projective trials that show benefits pertaining to sensory support. CranioSacral Therapy and Bio-Medical supports are explained as well as their value in recovery is documented as Tami illustrates how a sensory lifestyle gives crucial support for school, employment and independent living. From handwriting to hair washing – Sensory Processing to school, it’s ALL here in our book series! Written by Cara Koscinski MOT, OTR/L, a pediatric occupational therapist and mother to two children with special needs, each book provides clear and easy-to-understand explanations of those questions most frequently asked about raising a child with autism, ADHD, learning disorders, Sensory Processing Disorders, behavior difficulties, and coordination issues. Each book is PACKED with hundreds of resources and helpful and FUN activities that you can try IMMEDIATELY with your child or student! Tried and true techniques for you. These handy books are designed to go anywhere at anytime and be used as resources whenever you need them! PACKED with activities to help children and contains a helpful movement and vision assessment. Perfect for every OT clinician! Providing everything you need to know about the use of weighted blankets to help with sensory integration, improve sleep, ease chronic pain and more. · Advice on how to select an appropriate weighted blanket or sew your own.